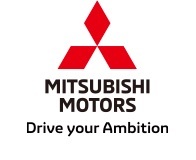 TOKYO, Feb 15, 2019 - (JCN Newswire) - Mitsubishi Motors Corporation (MMC) announces today the launch of the New Delica D:5 all-round minivan at affiliated dealerships nationwide in Japan. Manufacturer's recommended retail prices range from Yen3,842,640 to Yen4,216,320 (incl. consumption tax). The exterior of the new Delica D:5 uses MMC's Dynamic Shield front design concept with vertical multi-function LED headlights that makes the vehicle immediately recognizable. Inside, a new horizontal-line dashboard which combines function and openness adds to the elegance feeling of the interior. Equipped with the e-Assist active safety technology package, which includes Forward Collision Mitigation (FCM) System, the new Delica D:5 offers improved safety performance. In addition, the powertrain delivers more powerful, quieter and smoother driving performance, thanks to an improved diesel engine to a new 8-speed sport mode automatic transmission. The new Delica D:5 URBAN GEAR variant uses solid and clean-lined chrome bar grille and wide-look front bumper in a refined and modern design that targets customers looking for a more cosmopolitan taste. The Delica series celebrated its 50th anniversary last year. Over the years, it has established a reputation as an all-round minivan which combines the MPV and SUV features in a unique way to Mitsubishi. The Delica series has been affectionately owned as a vehicle extending adventure horizons and creating leisure time that customers can enjoy with family and friends. As one of MMC's core models in the Japanese domestic market, in recent years the Delica series has been one of the prime movers in company sales. The New Delica D:5 is available in diesel engine only. The current Delica D:5 model equipped with gasoline engine will review the equipment contents and remain in the lineup.